A lot of time can be lost at the water tables. Try to avoid the first section of the tables as they are unnecessarily overcrowded. These tables are very long so you don’t need to panic and head straight for the first water sachet you see. Also, never ever run back for something. There will be more of whatever you missed a little further up the road. Nutrition – you cannot run all day without eating. Not only will you add extra struggle to your day but chances are you’re going to be ill later that evening. Hopefully you have been practicing your race day nutrition strategy on your long runs. Personally, I have never taken nutrition seriously while running until this year. I know now that tired, heavy feeling in my legs can be avoided if I eat properly. Keep your electrolyte levels up with Energade, salted orange slices and race food offered at the water tables. Weather – Remember we will be running in a different climate then we are used to. The temperature will vary throughout the day as well. It will start out cold in Pietermaritzburg so bring a top that you are not particularly fond of so you can discard it later on to keep you warm for the first few km’s of the race. Even though you might warm up as you climb Polly Shorts you will want to keep your warm stuff for the bottom the hill where the temperature can dip again. The sun can be viscious and there are many sections of the race that offer no protection. Keep yourself cool by throwing water over yourself. Be careful of over hydration, I recommend watching the following clip, Waterlogged on YouTube. Be Self-Sufficient – even though we have ARD planning to be along the route, there is no guarantee they will be able to get to us. Make sure you have whatever you need to get you to the finish on you and do not bank on getting ARD along the route. Chances are you will get them but they face many challenges race day as well. Luckily, all along the route will be spectators as well. These strangers have devoted their whole day to help you get to the finish. Don’t be shy, take what these people have on offer. Last year the water tables towards the later part of the race were also very well stocked with food such as salted oranges, potatoes, bananas, crackers, race food, energy sweets etc. So don’t panic if you don’t get ARD support along the road. Try to make it easy for our supporters also. Put all your goodies in one bag to make it easier for them to carry to the road. They have to park far from the route and hike through the bush to get to us. Shoes, foodstuff, socks etc. can go in your Comrades drawstring bag you get at the expo. Label it with your name and ask someone to have it on route for you. Be appreciative and grateful for the assistance. It is not easy for our supporters and they sacrifice a lot to be there for us. I’ve read from numerous sources that Comrades is 75-80% mental. I have to agree. Even though I have run the race before, I am still surprised by how hard it is each and every time. Despite an increase in my training and physical fitness with each passing year, Comrades does not feel any easier. It doesn’t seem to matter if I train 600km’s or over 1000km’s, at about 70km’s in the race, I’m exhausted beyond imagine. At that point, it is not my physical ability getting me to the finish, it is purely my mental strength. I remember the 2014 down run, everything hurt. It was so painful to take one step and I felt like I was giving myself a mental pep talk each and every time I put my leg forward. I found focusing on the following kept me mentally strong so I was physically able to keep moving forward. Sacrifices: I thought about all the sacrifices I had to make to be there and how I could not let them be in vain. I thought of all the missed time with my children, with my husband, the early mornings, all those times it felt like that last thing I could do was go out on a training run and yet I still managed to lace up my shoes. I remembered all the times I struggled on my long runs, how I had to run through the nausea, blisters, lost toenails and other pains. If I could run through all that I could run through this. After all, all that pain was to prepare me for this day, I couldn’t let it all be for nothing. Training: Training for Comrades is more important to building your mental strength than your physical strength. Yes, you will get much stronger but your mental strength increases even more. Because you have to run almost every day it is almost automatic. You no longer think about wanting to run, you just lace up your shoes and do it. Running has actually become habit that does not require you to think about is you want to run or not. You just do it. And that’s what you have to do in Comrades. Don’t even think about stopping, just keep moving forward. Just do it. Visualization: This is something that is helpful in attaining any goal you have in life. When the road is extra lonely and feeling extra-long, visualize the finish and how working through these tough km’s will be all worth it at the end. To experience that finish and to hold your medal will be worth the pain in the end. Visualize coming to ARD, your family and friends and all the congratulations and happy faces you will see there. Support: We are so blessed at ARD to have such tremendous support. A huge majority of our club will actually be flying up to Durban for the sole purpose of helping us get to the finish. Having familiar faces to see along the route is such a tremendous help. I remember my first Comrades, we were planning to meet up with the club at halfway and then see them at a couple spots along the route. The traffic was so bad though that they could only make it to the finish just in time to see the first ARD cross the line. Still, the thought of seeing my friends and family really pushed me to carry on. I thought ‘they will be just around this corner here. I’ll run just past this corner and I’ll see them’. The down run is also nice because as you get closer to the finish, there are more and more spectators on the road cheering you on. Unlike the up run where it gets more and more desolate the further along you go. In 2014 there were a couple of spectators who would ask us what we needed, if we could have anything right now what would it be, they would then radio to their contacts further on the route to get our requests. We didn’t know these people, they were complete strangers. It is really amazing the support we have. Draw on that, think how tired the people are who are just supporting. Many of them, especially the ARD supporters, are up before we are to prepare our food and snacks so we can run. We can’t let them down. Acknowledge the supporters, thank them or even just smile as you run past. It helps, try it. Those are some of my mental tricks I use to get through Comrades. The road can be lonely, even though you are surrounded by people. Stay focused on your goal. Please respond in the comments section with any of your own. What makes the Comrades so Great? What makes Comrades so Special? 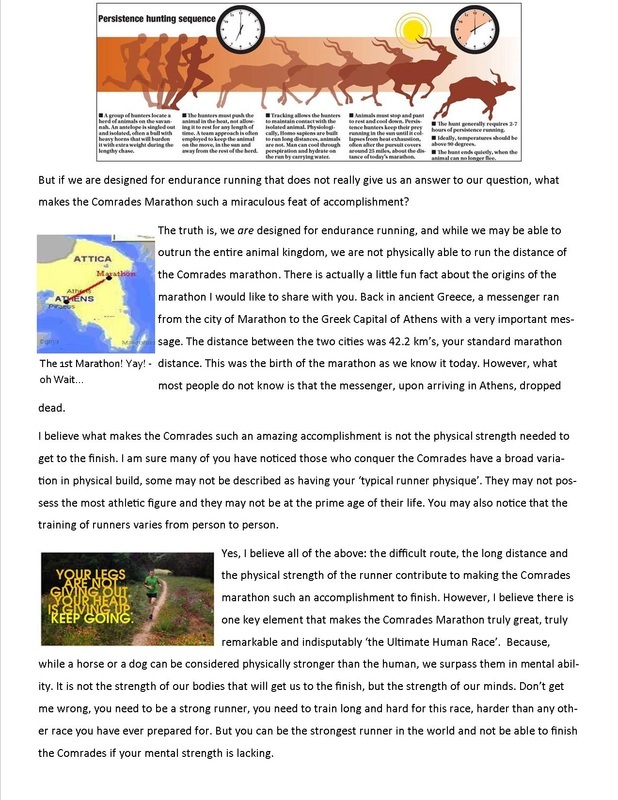 I was fortunate to come across a TEDx presentation on Ultra Marathon running that is applicable to Comrades (found here). This one was presented by Phil Sanderson who used entrepreneurial techniques to complete the Wasatch 100 (160km’s). This is a 30 hour race that climbs over 8000m through very difficult terrain. 400 athletes are chooses to participate in this race every year. Mr Sanderson explains how he was very excited to be chosen and started training for the race but fell victim to injury that prevented him from running for five months! He decided to still do the race, even though he only ran a few times, and was successful because of four key pillars he followed. These pillars are also needed for a successful Comrades and if followed should assist you in achieving your goal. Malleable Plan: You need to have a plan. Failing to plan is planning to fail. Saying that, you also need to realize that circumstances seldom allow our plans to unfold as we envisioned. You cannot waste energy feeling frustrated because the race is not going to plan. Understand that you will fall behind; you will take a few minutes to cross the start line, runners will block your way, climbs will be tougher than anticipated etc. Accept the setbacks and move on. You have to be able to adapt your plan according to circumstances as they arise. Just because you had a really tough 10km stint does not mean the next 10km’s are also going to be tough. Keep going, keep pushing, and adapt. Support.  We are so blessed at ARD to have such terrific support from our club. These people have sacrificed their time, money and energy to be there for us so we can achieve our goals. Many of them will be up before us on race day preparing our food for when they see us on the road. Some have even decided to run with us for certain segments to help push us on. They have been there for us throughout our training, providing support and backup when they could have been doing anything else. Think of this when you are running. It will inspire you to keep going and push on. Draw on the energy of the crowd of spectators who line the roads to cheer you on. KPI’s – key performance indicators. Heart rate is an excellent guide and Mr Sanderson explains how he kept his heart rate in the aerobic zone between 60-70% max. If he pushed harder, he would be in the anaerobic zone which would deplete his energy causing him to burn out before the end of the race. This is why it is important to go out slowly in Comrades. You do not want to burn out. 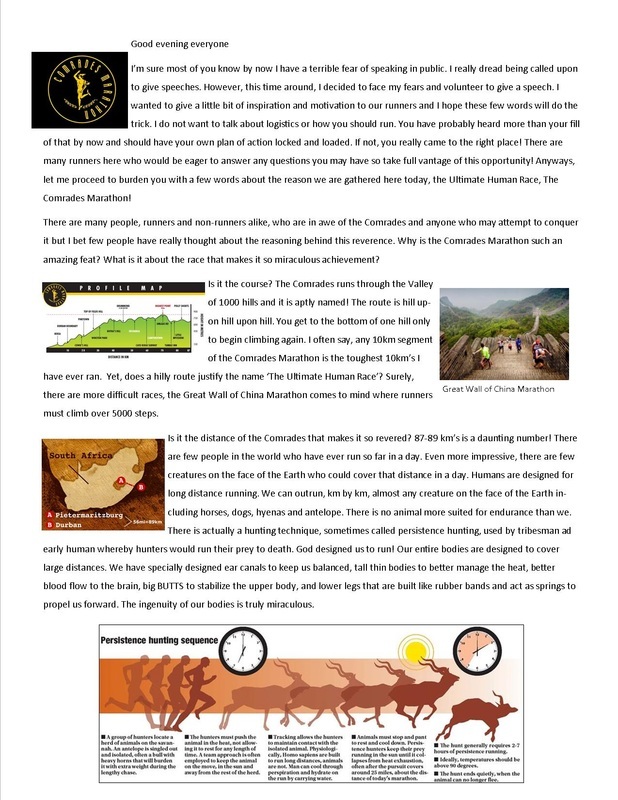 It is especially dangerous in Comrades since the first 20km’s are mostly climbing (yes, even though this is a ‘down’ run, there is still a lot of climbing) and it’s easy to overdo it. To gauge if you are in the right zone, ask yourself ‘Can I keep this pace up all day?’ If the answer is yes, keep going. If it is no, you better slow down now before Comrades slows you down later. Mr Sanderson also explains the importance of nutrition in this pillar. He calculated that he would burn 200 calories every 20minutes of his race and forced himself to replenish these calories religiously. Every 20minutes without fail he ate 200 calories and drank 1kg of water every hour. Fueling is extremely important in these long runs especially comrades. It is hot and humid and you will quickly become depleted of your energy if you are not fueling properly. Saying that, do not try anything new on race day! Stick to what your body is familiar with. Have Fun – this is so important. We run because we love it. For many of us, this is our last opportunity to run Comrades for a number of years. Let’s enjoy it as much as we possibly can. There is no other race in the world like it. The support, the atmosphere, the crowd, the terrain…it’s just phenomenal. Soak it up and enjoy! It is difficult, you will struggle but without those tough parts it wouldn’t be so gratifying. Accept them, push through them and go get that medal! ​The taper period is the most important part of your training to execute properly. You can erase all your hard work over the past four months if you do not taper properly. This whole month is dedicated to recovery NOT to making up for mileage that was lost in previous months. The best thing you can do for yourself is ensure your legs are recovered and well rested by the time we line up at the starting line in a few short weeks. If you have any niggles now is the time to sort them out. Go to physio, chiro, acupuncture etc. and get yourself sorted out. Take the rest days the professionals advice you to ensure you’re in 100% health and physical ability. Do not worry about lost km’s this month. An extra 50km’s of training is useless if you are injured and tired come race day. There are a number of stories of runners with serious injury/illness who did not run the entire month of May and still finished Comrades. I recommend reading some of the personal stories of Comrades champions found here. 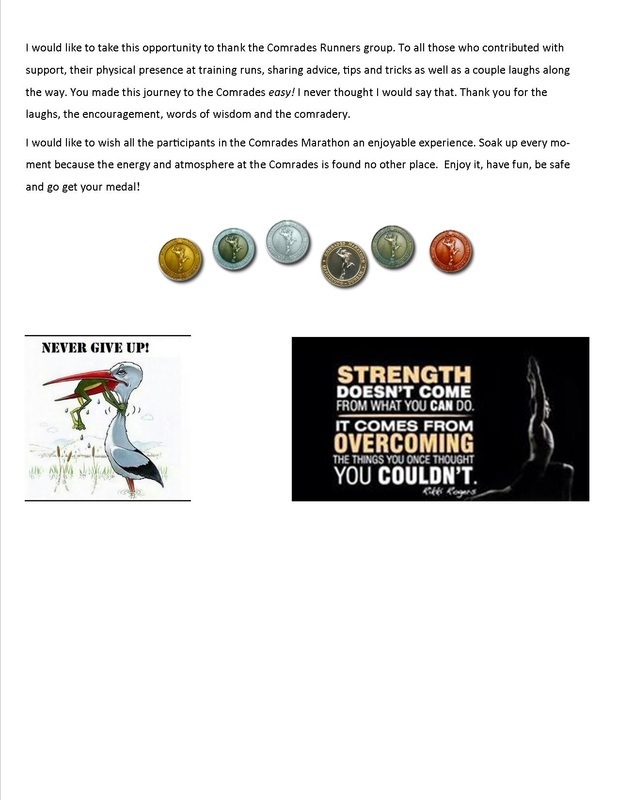 Reading about how others overcame the challenges presented by Comrades can be a huge mental boost and you should know by know how important mental strength is to getting your medal. Usually it is your weekend long runs that change the most in the taper period. These will start to dwindle. You may also notice your program has an extra rest day. It is also important not to push yourself these runs. Every run should be aimed at recovery. You may not realize the impact these past four months have had on your body. Whether you realize it or not, you have put your body through a great deal and you are about to put it through the Ultimate test. So be good to yourself, allow your body to recover so it is as ready as possible for that 89km journey. 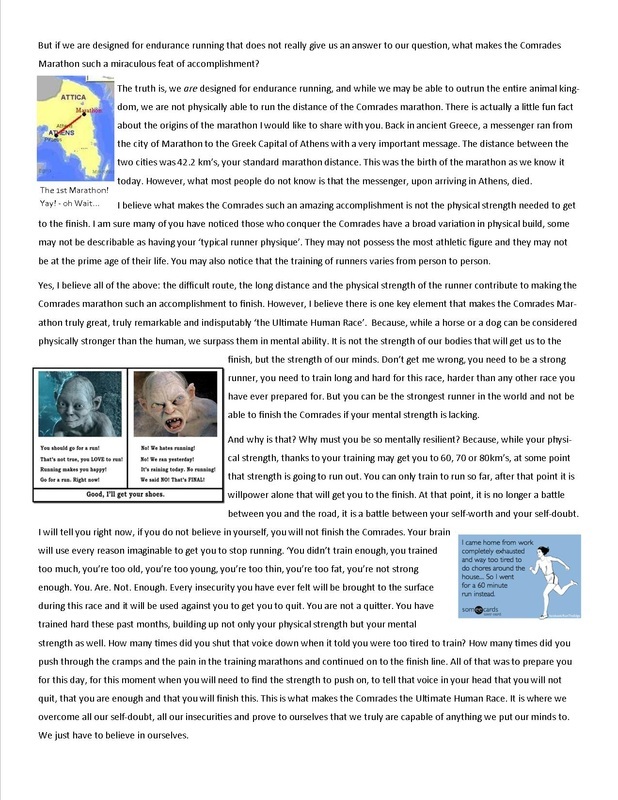 ​When people ask me about my first Comrades run I describe it in two words, 'Horrifying' and 'Glorifying'. The feeling you get as the finish line comes into sight is indescribable. I was in total disbelief when I finally got into the stadium in Pietermaritzburg. The feeling on the road however is quite different. People were falling over in the middle of buses; taxis were overflowing with people so much they could not even close their doors (although I’m sure they wouldn’t want to as passengers continuously needed to vomit out the sides). Water tables were running so low on water they would throw a box out into the middle of the road and runners would be forced to fight for a sachet or two. I felt excited, scared, proud, panic, elation and extreme exhaustion. It was really an experience of conflicting emotions. I was never planning on running the Comrades. My dream was to run the Old Mutual Two Oceans Ultra Marathon. After I ran my second full marathon I knew the Two Oceans would not be enough of a challenge. I had trained on a very rigorous and demanding program for the Two Oceans. I had put in so much time and effort into the training that I thought it would be stupid not to continue on with the program and do the Comrades. I told my husband about my desire to do the Comrades. He had confidence I could do it if I trained but I should complete the Two Oceans and then get a substitution for the Comrades. It was a very practical process that I couldn’t argue with. Even so I had to fight with myself not to get the first advertised entry I found. I did tell my in-laws about my plans praying they would be able to watch our two kids for a weekend. I refrained from informing my club about my intentions fearing they may tell me it was too soon in my running career. I think that was my biggest fear and it would be detrimental to hear it spoken out loud by the people I respected and trusted. I had only been running for a little over a year at that time. Granted I had nearly 1000 km's, numerous sub 60 10km's, sub 55 10km, two Marathons and soon to be an Ultra Marathon under my belt. 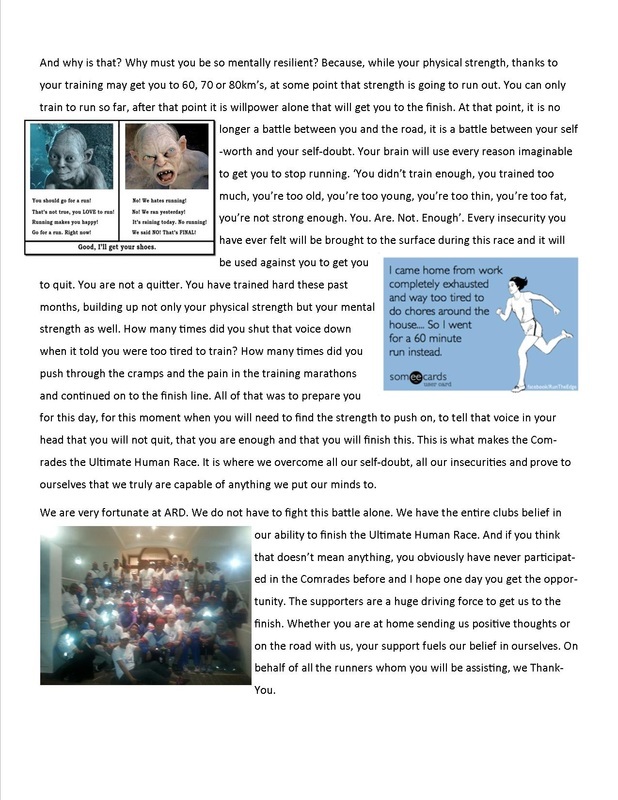 I still worried I did not have enough running experience to take on the 'Ultimate Human Race.' My excitement got the better of me though and I informed my running buddy of my hope to enter the Comrades. It would be her first Comrades as well. She said 'No' instantly. There was no way I could do it with only running for a year. I didn’t say anything more but as the evening progressed her negativity slowly changed to almost demanding me to run it. 'Maybe, maybe you could do it. You are a strong runner. You could do it. Yes! You can do it! Do it! DO IT! Get an entry! YOU BETTER GET AN ENTRY!' We still laugh at that conversation she had with herself. I felt reassured by her confidence in me. She had taken me under her wing and helped me train and run my first marathon. We had spent hours running together and I enjoyed that time immensely. I took her advice and opinions about running to heart. She gave me a new training program that was not as demanding as the one I was on. It was divided into different programs depending on the time you hoped to get for Comrades. I just wanted to finish but thought I better train a bit harder to give myself a better edge. I combined the sub-11hour program and the sub-9 hour program and it was very manageable but still difficult enough to be reassuring that it was going to work. The Two Oceans arrived very quickly. I had spent most of the previous day in bed. I was feeling extremely drained and I blamed it on all the running I had done. When I awoke the next morning with no voice, struggling to breathe properly and body aches I knew it was not the program and I had the flu. I was so devastated. I just wanted to cry. All of that hard work, all of that sacrifice was for nothing. I contemplated calling up my club mates to tell them to forget about picking me up but I couldn’t do it. I knew it would be depressing for them if I didn’t at least show up. I decided I would just put the sickness out of my mind and do what I could. My club mates pulled up right on time and I climbed into the car and greeted everyone. They all said I looked and sounded awful. I felt awful. We got a good parking spot and walked down to the start of the race. Our club had procured a lovely spot near the make shift bathrooms where we were able to pray as a large group and give words of encouragement. It was not long before we lined up in our shoot. I choked up as the national anthem played. My dream was finally being realized. The gun went off and we stood still for quite some time. It took us a few minutes to get over the start line but it was not too bad. We ran very well and very quietly for the first half of the run. My goal was to get to Chapman’s Peak. That was my focus. I had never run over the peak so I was really looking forward to that. I broke down at about 25km and asked my club mate for a painkiller. I felt very sick. The medicine kicked in just before Chappies and I felt much better. By the time I caught my husband at the bottom of the climb I was smiling. We were laughing and talking and having a grand old time as we climbed up the mountain fighting with the wind not to throw us over the edge. It was gale force weather that morning but it just made the run that much more enjoyable. We had such a great time on that peak. Climbing Constantia Nek was no big feat. We passed a number of ex-club mates. We walked a couple times but smiled the whole way up. A few hundred metres from the top we caught some of our club who ran the half marathon waiting for us. They ran to meet us with chips and other food stuff. I was so happy to see them! I wrapped my arms around whoever I could reach. We climbed to the top and raised our hands overhead as my husband snapped a picture. The race down was just that, a race! We ran averaging under 6min/km to the finish. It was unbelievable how much energy we had! We even caught a club mate who started in a seeding group ahead of us. I convinced him to stay with us and we entered the stadium together, crossing the line hand in hand. It was a fantastic moment. I had proven I could run an ultra-marathon. Even more, I could run an Ultra marathon while fighting the flu. I ran off some of the ailments I had woken up with but I still was not 100%. My body ached but not from the run. My legs felt fine, I had no blisters and all my toe nails were still attached to my toes. I was granted permission to find an entry for the Comrades. It was not long before I bought an entry from someone online. When everything was handed in I informed my club that my substitution was submitted and they informed me hours later that my entry was confirmed. I was so touched my club had taken such a personal interest in my running. When I had told them I would be running the Comrades they never said anything discouraging. They offered to run early mornings with me, they promised to look out for entries, a few of them contacted Comrades officials to facilitate the processing of my application and they even accompanied us to Durban. While everything was falling into place for me, my running buddy was experiencing some very bad knee ailments. On her first run after Oceans she hurt her knee and after numerous physio sessions, doctor consultations and trial runs it was not better by race day. Consequently she ran very little before Comrades and I was very worried about her. We still planned to run together and we hoped for the best but deep down I knew she was really going to struggle. She did not manage nearly enough mileage even if her knee was completely healed come race day. I hoped I would be able to encourage her enough to make it to the finish. I now know I should hope to know when to tell a fellow runner it is time to stop running. We were unable to afford flights to Durban. By the time I had an entry they were over R6000 for my husband and me. We could not stay long in Durban because our children were staying in Cape Town and because the trip was spur the moment and not financially planned for. We would take a bus and stay two nights in Durban. The bus trip would take 22-hours. We would leave Cape Town Friday morning, arrive in Durban Saturday afternoon, run Sunday, leave Monday morning and arrive back in Cape Town Tuesday morning. I was very fortunate to have a large number of club supporters. There were only eight of us running but a significant number followed us to Durban just to support us. Knowing they were there on the route, cheering us on in person was the number one thing that made one foot go in front of the other. My husband also accompanied me and I could not have made it even through the training without him. We also had substantial IT support. The club members in Durban were in constant communication with the members back home. When we arrived in Durban we were greeted by the club. The members already in Durban came to our hotel to have brunch with us. Everyone was so excited and pumped up. It was hard to keep the nervous nausea at bay but I managed. We all went to the Expo together and then out for supper. I drank as much 32GI as I possibly could to rehydrate after the long trip up to Durban as well as in preparation for the day tomorrow. I had been obsessively watching the weather praying the temperature predicted for Sunday would go down. It didn't. The messages of well wishes poured in. I had hundreds of emails, texts, phone calls and Facebook messages…it was unbelievable. I was very sad I couldn’t reply my appreciation for the support. Time was extremely limited that day and I was already exhausted. I slept well the night before. Probably because the week leading up to the race I could not close my eyes without running through all the logistics of the race and my training which lead to many a sleepless night. Plus the previous night was spent on the bus. So once everything was settled and I knew for sure there was nothing left for me to do to prepare I was able to sleep fairly well. I got up when my alarm went off at 3am and it was not too difficult to roll out of bed. The result of months of early morning training I guess. I had breakfast with my running buddy then headed up to the room to get into my kit and get my road bags together. I had made lists of everything I would need months in advance. I was so excited when I got an entry in May for the Comrades I started writing everything I would need in separate lists, organized into bags for different situations. I had a race day bag with everything I would be carrying on the run, my dates, chews, foldable water bottle, running gear etc. I had a road bag with the things I would need just once on the run such as deep heat, sunscreen, Vaseline, fresh pair of socks, spare pair of shoes, etc. as well as a couple refill bags with my chews, dates, and sparkles. A post-race bag with warm clothes, rehydrate, dates etc. for right after the race. I was very well prepared and organized so I was ready in no time. I met up with the rest of the club outside the hotel and we walked together to the start. I stayed close to my running buddy. Her presence made me feel strong enough to hug my club members’ and my husband goodbye and cross through the gate to the running pens. We got there early and consequently were pushed into higher seeding. We tried to stay in the H but I think we were shuffled into the F by the time we started. I slipped out one of the side gates to pray quickly at a lovely patch of grass not far from the starting pens. I thought the time would drag by standing in the pen, my little running buddy fidgeting nervously beside me. Before I could believe it, the national anthem and then Chariots of Fire were playing. I didn’t choke up as much as I did for the Two Oceans. I think I was just too nervous and excited. Still, it was a very proud moment. The gun went off and we started running seconds later. It was maybe over a minute before we crossed the start. Much, much quicker than I had even hoped for. I don’t remember everything about the race. Snippets came back to me a few days after it had finished but there are definitely large gaps in my memory. I remember running under the over passes and people were cheering overhead. I remember feeling very nauseous and struggling to drink my 32GI I carried with me in a foldable bottle so I could avoid the first few water tables to save time. I remember trying to get ahead of the sub 12 hour buses and eventually deciding to just stay with them. I remember the feeling of security and surety of running in that bus. Feeling the pressure relieve as someone else could tell me how fast I needed to go. My running buddy was the one who eventually convinced me to just stick with the bus. Even though we had written up, scrutinized analysed and reanalysed our own pacing charts for weeks. I felt completely at ease in the bus. I knew if we just stuck with them we would make it and they were running so relaxed and at such an easy pace. I thought our medal was in the bag. We walked/ran with the bus for close to 40km. We caught a few friends and exchanged pleasantries and lots of smiles. The bus was full of friendly people and we would talk and exchange stories a bit. The crowd would cheer extra loud for the sub 12 hour bus. They were full of encouragement and applause. It was a wonderful feeling. That feeling didn’t last however. Just before Drummond the last sub 12 hour bus caught us and I knew something was wrong. We were running nearly half an hour behind schedule. I did not want to have to race up Polly Shorts and at the pace we were going that is exactly what we would have to do to make cut off. I told my running buddy we are going to have to leave the bus. We pulled away relatively quickly, continuing to run as the bus would stop to walk. We got our club just past Drummond. It was so wonderful to see them. I wanted to hug them all but I was in a bit of a panic by how far behind we were running. I grabbed a refill supply pack and sprayed my face with sunscreen as I walked past our friends and family. I am grateful to my husband for catching the pit stop on video for us to review later. We raced on from there hoping to see them along the road again. We had to stop for a toilet break shortly after Drummond. We stood for a minute waiting for a toilet on the side of the road but it was taking much too long and there were a few people ahead of us waiting. I spotted a well concealed spot in the trees beside the road and we made our way through the thick bramble. We were very quick but in that time the sub 12-hour bus came past us. We tried to catch up but my running buddy was struggling. She told me to go on but I ignored her. I took her hand and pulled her along for a few kilometres. After a while she stopped running and told me I have to go. I knew I couldn’t pull her over 30km to the finish. I knew that if I did that we both wouldn’t make it and she would end up injured even worse than she had been when she started. With a heavy heart I hugged her and told her to 'just keep moving forward'. It was our motto for the race. We would never stop, we would just keep moving forward. I ran off and shortly caught the sub 12-hour bus. I powered walked my way through the large crowd, making my way to the front where I could then sprint off. I ran on my own for a long while before I caught site of a very large mass of people. I figured it must be a bus but I had no idea which one. I thought I had just past the lead sub 12-hour bus but there is no way this could be a sub 11-hour? As I got closer I hoped to catch site of the banner of the official leading the bus. I could not see a flag anywhere. I ran/walked with the group, powerwalking when they just walked and weaved my way towards the front of the bus. I managed to build up enough strength and courage to ask a runner if this was a bus. He confirmed it was a sub 12-hour bus. ‘An official bus?’ I asked. ‘Yes’ he replied. I wondered where the official was but didn’t bother to ask. I remember feeling extreme exhaustion at this point. I had to focus hard not to think about the fact that I could be lying in bed at that moment rather than running on this hot and dusty road. I couldn’t feel how hot it was or how windy. I kept dumping water sachets over myself and drinking as much as I could manage. I felt my throat was constantly dry and burning, presumably from the heat and dust stirred up by the wind. I learned later it was extremely hot with a strong head wind. I was still very nauseous and the Energade aggravated this. I stuck to drinking water and eating as much potatoes and oranges as I could grab. Looking back I should have forced myself to drink the Energade. The last 15km of the run were the most depressing. Runners laid everywhere. I saw countless people just fall over or being dragged to the side of the road. The large city buses and taxis that picked up the runners unable to go on were overflowing with passengers. They couldn’t even stop to pick up the ones lying in the ditches. It only got worse the closer we got to the finish. The bus was so large it took me a long time to work my way to the front. I overheard a runner ask another if the hill we were climbing was Polly Shorts. It was. I never would have guessed. It was just another hill in an endless wave of hills. Perhaps the mass of people all around me blocked my view enough that I could not see the steepness or vastness of the hill to fully appreciate it. By the time I winded my way to the front of the bus we had topped Polly Shorts. I was so excited to look down on what I was sure would be a smooth and easy route to the finishing stadium. What I saw was a wave of people undulating over countless hills for what looked liked thousands of miles. It was a depressing site. I pulled myself together and thought 'this is it; I have to give everything now'. I was running short on time and I knew I would have to push if I was to make it. I looked for a yellow number (someone who was on their tenth consecutive race) to pull me through to the finish. I would stay with these people for a while but eventually I would feel the need to press on. I caught a member from our sister club and she told me we should try to finish together. Again, I ran with her a bit but my speed walking took me away from her quickly. I turned back, waiting for her but she waved me on and so I went. I power walked through the crowds of bystanders who cheered me on and told me not to stop. I remember one man’s warnings of the time being almost up and how my heart dropped in my chest and panic spread coldly throw my veins. I power walked with earnest when I could no longer run. It was during one of these power walk sessions that a young man came by me reigniting my hope. 'Don’t worry Suzanne' he said 'your medal is in the bag'. He ran by me with such ease and grace I could have sworn he just started the race. I eagerly scanned the crowd at this point, looking for a familiar face. Praying someone would run with me into the stadium. All my other big races someone would be waiting to bring me in. The barricades the last few km's from the finish prevented this. I caught a club member just outside the stadium and he congratulated me and told me I was home free. I ran on eagerly awaiting the familiar faces and cheers of the crowd. Just before entering the stadium I followed Don Oliver’s advice about cleaning up my appearance. I made sure my shorts were on right, my hair was smoothed under my cap and pulled at my shirt. I still looked a mess. My white club shirt was stained brown with dirt and sweat and who knows what else. My blue shorts were drenched with water sachets. My face was tomato red and my shoulders were hunched with exhaustion. Still, I did what I could and smiled as I entered. I saw my club and my intentions to run and hug them all were not fulfilled. I knew if I stopped I would struggle to go again. My legs were not working normally. Routine was driving them now and I was fearful to stop that routine. I ran by them, smiling and waving throwing my hands on my head in an 'I can’t believe I just did this!' fashion that was not understood and caused much confusion among them. I ran over the finish and threw my hand up in the air in triumph and then just grabbed my head. Instantly, I felt the pain in my legs and joints that was hidden from my consciousness by my desire to finish. I took my medal and badge from the smiling young man who congratulated me earnestly and I thanked him from the bottom of my heart. I walked as quickly as I could to my club. I had no idea where they were or where I was. I just kept walking knowing that if I stopped moving I would not start again. I found them and was wrapped in hugs despite my grotesque state. I just kept repeating to myself ‘I cant believe I did it! I can’t believe I just did this!’ I cheered with the others as I simultaneously scanned the crowd for my husband. He had gone to meet me at the finish when he saw me come in. By the time he found me I was sitting on the ground unable to move. I gave him such a big hug. He was so proud of me. It was about an hour later that I started to shake uncontrollably. I vomited in front of everyone. A girl nearby told me not to worry, she was next. Someone suggested I go to the medical tent and while I wanted to do anything but that I thought I had put myself through enough. I better just get this taken care of. The walk to the tent was agonizing. I could hardly put one foot in front of the other. I was so tired and nauseous. As we approached, runners were laid out in stretchers all around the entrances. We had to step over them to get into the tent. Inside it was chaos. It was like a scene from a war movie after a really bad attack on the troops. Some of my club came with me and helped get me a bed in the tent. A friendly young intern got me an IV and took some blood. It was a long while before the results came back. I could tell the medical staff were worried. I couldn’t stop shaking nor vomiting no matter what they gave me. All the attendants that saw me congratulated me on my medal. I told them it wasn’t worth it. I felt so sick. They would look around the crowded tent and reply ‘All the same. At least you got a medal.’ And I knew there were too many runners in worse condition then me who didn’t even have a medal to show for it. A Doctor came to see me and ordered more detailed blood analysis. He was so kind and gentle. I felt better just being in his presence. He took my hand as he talked to me in a very soothing voice. My results showed my electrolytes levels were too low. He asked for them to be redone to see if they were going up. He wanted to send me to the hospital but I really didn't want to go. If the levels were still that low I would have no choice. They came back even lower. He didn’t even tell me the results. He immediately got an ambulance driver to take me to Durban; all the hospitals in Pietermaritzburg were full. The Ambulance drive was awful. I was so nauseous and so tired. The bouncing and swaying of the vehicle just made everything so much worse. My husband had to drive our rented car back to Durban, making a pit stop at the hotel for some food and new clothes for me, so I rode alone in the ambulance. Finally we arrived at the hospital where I was informed I would be waiting for hours to see a Doctor. I didn’t know if I would make it. I was so exhausted I just wanted to pass out. It was 10h00 by this time. I saw many Comrades runners with bizarre ailments in my long wait in the ER. One lady was there for the extreme blisters on her feet, one man had lost all feeling in his legs and was unable to move them, and another man with his bib still on was wheeled on a stretcher by EMT and nurses running through the doors. I also saw our sister club member whom I had caught in the last few kilometres of the race. She was suffering from severe nausea and not able to converse but she made it to the finish within cut off time. When I repeated what the medical staff told me about my medal she just looked up at me with what must have been the same look I had given the medical staff. I fervently watched the clock calculating how much time it would take my husband to get to the hotel, grab me a change of clothes and something to eat then make it here. An attendant called my name hours later and I jumped up thinking I was being called to see the Doctor. He told me there was someone looking for me and I confirmed it was my husband. I was so glad to see him. I feverishly tried to convince him I was fine and I wanted to go home. I just needed to sleep, that was all. I was just so exhausted. He didn’t believe me and I don’t blame him but he did call a physician friend who confirmed the Comrades Doctors fears. My condition was a trend, if the numbers started to go down they could continue to diminish until I was dead. Better stay at the hospital where I could be monitored. I changed into the spare set of clothes my husband brought for me. Even though a fresh set of under garments was missing I felt better after changing out of my running kit. It was in a disgusting state and I feared the sickly smell it had acquired would never be washed out. I laid down on my husband’s lap and managed to fall asleep despite the all-consuming nausea. I felt instantly better with that little bit of sleep. My husband woke me when the Doctor was ready to see me. A very nice nurse accompanied us and I was lead to a back room and laid on a very comfortable bed. I fell asleep as I was examined. I was put on another drip and monitored. The Dr wanted to admit me but we needed to catch our bus home in a few hours’ time. He said we could stay in the room there then until 'things looked better'. I was only discharged at 3am. I had been up for 24 hours. In that time I had ran 87km’s. I had only eaten my small bowl of cereal, a couple bite size potatoes and half dozen orange slices. I was beyond exhausted. I don’t remember getting into the hotel or into bed. I just remember telling my husband to make sure the alarm was set and I fell asleep. I awoke a few hours later feeling like a new person. I still had my sports bra on that had been soaked with 12 hours of sweat. Gross! I showered and felt glorious! I woke up my husband and we packed up the room. We made our way to breakfast and were greeted by some of my club. I didn’t wear my medal to breakfast out of respect for the runners who didn’t make it. My running buddy managed to make it to 75km. She promised herself she would keep moving until 12 hours was gone. Her knees gave out on her before then and she was forced to sit on the side of the road and await a taxi. I was so proud of her. I found out that the conditions for the race were the worst in 20 years. The heat combined with the wind was detrimental to many of the runners. Most runners finished in the last 90 min. Very few made the sub 10 hour mark. Surprisingly, I had very few ailments after the race. Two toe nails were dead and would fall off a couple months later. I had no blisters, no injuries, no aches or pains even. My legs felt fine unless I got up after a long time of being sedentary. I still get goose bumps when I hear the same songs on the radio that were played on the route. I am eager to talk about the experience with anyone who will listen. I have no regrets in my decision to take on the ‘Ultimate Human Race’ and I look forward to doing it again. This time I have the respect the race deserves. Can you believe it!? We are on the brink of our tapering period! The last four months have been intense but we have prevailed and conquered the challenges set out for us! We have braved new distances with our 4 Hill Monster, the Two Oceans Ultra Marathon and the Club 45km. Many of you have conquered these demanding runs with seeming ease and were able to go on to PB on a number of races without over exerting yourselves. You should be extremely proud of your accomplishments. ​ This weekend will be our last long distance run before our taper period. 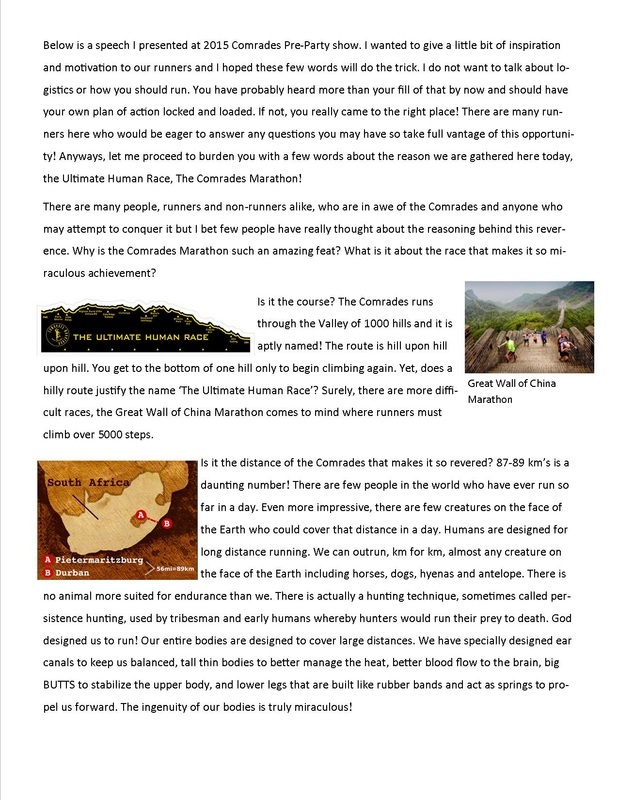 You should use this run as your last opportunity to simulate Comrades as closely as possible. Wear what you will be wearing on Comrades, eat what you will be eating before and during Comrades, run the way you will be running on Comrades. This doesn’t mean you have to run Comrades exact pace. If you plan on walking every 5km’s in Comrades, you should walk every 5km’s on this training run. If you plan on eating every 30 minutes on Comrades, eat every 30 minutes on this long run. There are some of you who want to get a better seeding for Comrades at the Weskus marathon. If you decide to do this please do listen to your body and don’t over exert yourself. This marathon can get very hot as well so be aware of that and make sure to hydrate accordingly. 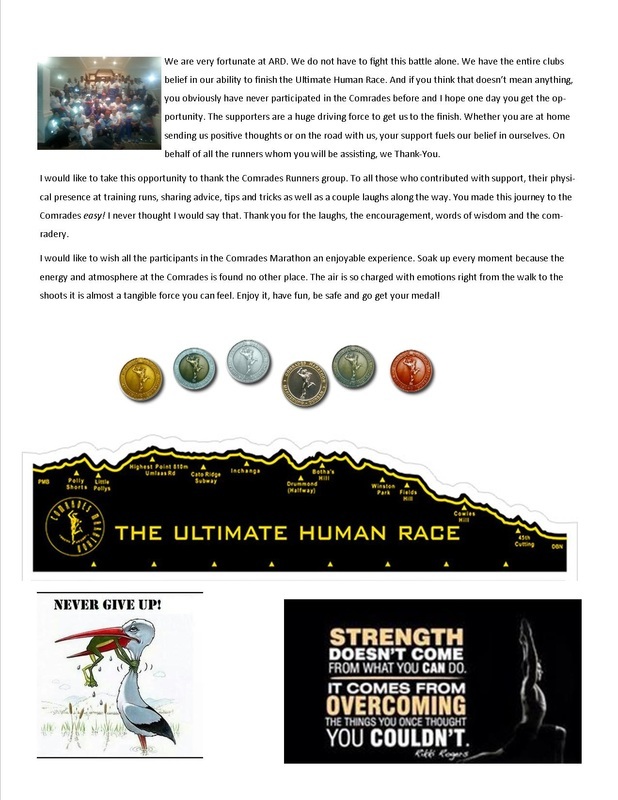 Just keep in mind what your ultimate goal is and that is a Comrades medal. Getting to the start of Comrades rested, healthy and confident is the most beneficial thing you can do for yourself. We are into the second month of training! It’s gonna get tougher from here on out. Our long runs become more difficult and as hilly as possible to prepare us for ‘The Valley of 1000 Hills’. Do not be fooled by the name ‘the down’ run, there is still a lot of climbing involved when running from Pietermaritzburg to Durban. If it wasn’t for the aches and pains in your bones and joints, you probably wouldn’t even realize that you’re running more down’s than up’s. We need to build up as much strength as possible to handle the climbs as well as the descents. For those of you who have yet to qualify, your number one goal this month will be just that. You need to focus on qualifying at the Peninsula Marathon on the 17th. That is your sole focus right now. There is a league race the week before Peninsula. For those of us already qualified, the 30km Tygeberg ‘Big Momma’ is perfect to do before the marathon but we just have to take both races easy. Chances of being able to race both (or even one) to your full capabilities and getting right back onto the program afterwards are pretty slim. You’re gonna be putting your body through a lot these next few months. Be good to it. If you don’t have to push yourself to your limit, don’t. It’s not gonna do you any good in the long run (excuse the pun). Total mileage for February (1st Feb – 5th March) should be around 350km’s. This would include 1 standard marathon (Peninsula 17th of Feb) and 1 ultra-marathon distance (50km Club run on the 5th March). ​January – One month down! Has this month flown by for everyone else as well? I can’t believe we are into February already! Hopefully you are all getting used to running 5-6 times a week and the fatigue is starting to wear off as your body gets used to the extra mileage. Total Mileage = 260-270km: I have incorporated cross-training into my Comrades program so my mileage is a bit short. If I convert the spin sessions to running km’s I fall in the range. I usually take the time I spend on the bike, say 1 hour, and then calculate how far I would run at the same exertion I used on the bike. If it was an easy bike session of 1 hour, I would say I ran about 8km’s. If I really pushed myself I would convert that to 10km’s. I add up those converted km’s and add to my running km’s for the week. May seem like a lot of unnecessary work but the satisfaction I get out of seeing how many km’s I’ve managed to accomplish is a huge boost to my confidence. 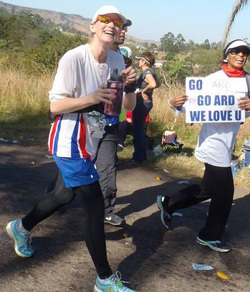 Make the commitment to complete the Comrades Marathon - have you done this? Or are you telling yourself you’ll see how far you get? If you are, you are setting yourself up for failure. You are training to FINISH Comrades, you are not training to START comrades. Run 6 days a week – EISH! This is tough! My rest day has yet to fall on the planned day I marked out for it. I have not ran 6 days a week but I have managed to get some form of physical exercise, whether it is a run, a spin or even a power walk session (although I try to keep power walking as an addition to another form of exercise and not a substitute). Run your 8-10km training runs comfortably without walking. Don’t worry about time - Check! Watching some of you on Strava I see you are also comfortable with this! Well Done! Race speed 6.3min/km and training speed 6.5min/km. My race speed was considerably slower and a few training runs were considerably faster. I am conditioned to run how I feel so I’m not too concerned about this. Would love feedback on this objective please! Perhaps someone who actually raced this month? How did you feel afterwards? Were you able to hop right back onto the program after the race? What was your recovery time like? Are you feeling less fatigued? I sure struggled the first couple weeks. It has only been this last week where I’ve felt energized and pumped up to run. The first two weeks was a battle to get on the road! Have you been recording your runs? Are you able to discern any useful information from your logs? Do you run better when you have eaten/drank a certain product? How’s the mileage in your shoes? Will they get you through Oceans or do you need to start looking at replacing them? Oceans is only 8 weeks away so if your current takkies aren’t gonna cut it you need to think about replacing them soon. And that’s it for January! Congratulations! Please let us know how you are feeling and coping with the training. If you are on another program, let us know how it is going. The more info we have, the better prepared we’ll be for the Big Day!